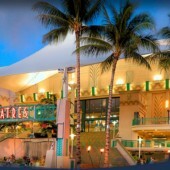 Located across from the famous Ala Moana Beach Park, the Ward Entertainment Center offers a unique selection of shops and restaurants. Parking is easy and convenient with over 4,200 free parking spaces. In the heart of Waikiki Beach, the Moana Surfrider, A Westin Resort & Spa on Oahu, introduced the world to Hawaiian hospitality in 1901. 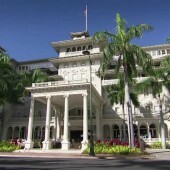 Often referred to as the “First lady of Waikiki”, this oceanfront Oahu hotel is a legendary landmark.